We are getting ready for Christmas Blessing 2016!!! Christmas Blessing 2015 was a great success!! We served over 600 kids, and each one received a gift and was able to hear the gospel message. It was an awesome day full of holiday spirit and love- thank you to everyone who gave to make that day possible!! We can’t do it without YOU! This year we have created an AMAZON WISH LIST to make giving even easier! You can use the Amazon link to view our wish list, and to purchase gifts for the give-away. When you check out, please click the “City of Refuge-Heather Wilson gift registry address” to have gifts shipped directly to us. If you would like to purchase gifts at a store, you can use our Amazon Wish List for gift ideas! 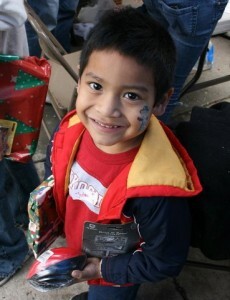 For the past 16 years City of Refuge has held a giant Christmas Blessing for the kids in our neighborhood!! We are able to bless close to 1,000 children with presents. For many of the kids, this is the only gift they will receive this Christmas. 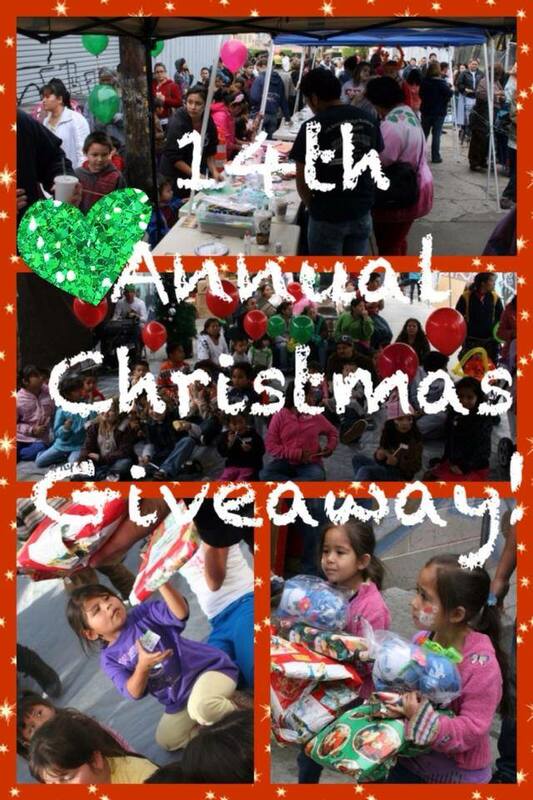 This year will be our 17th Annual Christmas Giveaway!!! We never tell any kids when the Blessing will be, but when they see us pulling out our Christmas trees, hanging lights and blasting Christmas carols they know what to do! Children begin to line up around 8:30 a.m., and we make sure they have a great time while waiting for their present. We give out hot chocolate and cookies, and we have crafts, coloring, balloon animals and face painting all happening on the line. When it is their turn, they enter our Winter Wonderland Warehouse, listen to a Christmas story and then receive their gift! All a kid has to do is show up and wait in line, no sign-ups are necessary. We always need help to make our Christmas Blessing happen. We are looking for new, unwrapped toys for children ages infant to 17 years old. Gifts can be between $10 to $15 dollars. We ask that all gifts be given before Wednesday, December 14th. However, we will never turn down gifts! Check out our video from 2014’s Christmas Blessing.